• In this story from Urban Institute, the authors discuss policy differences regarding federal child care subsidies in each of the 50 states and U.S. territories. • Which states and territories are seeing the most success with their child care policies? What can others learn from these examples? • To learn about how a funding overhaul brought about early childhood education integration in New York City, click here. The Child Care and Development Fund (CCDF) provides child care subsidies to low-income families to make child care more affordable and to promote quality and consistency of care. Families receiving subsidies through CCDF must meet certain eligibility criteria, such as participating in an approved activity and meeting income requirements … Because CCDF is a federal block grant, states have the flexibility to set their own policies for their programs, as long as they fit into broad federal guidelines. 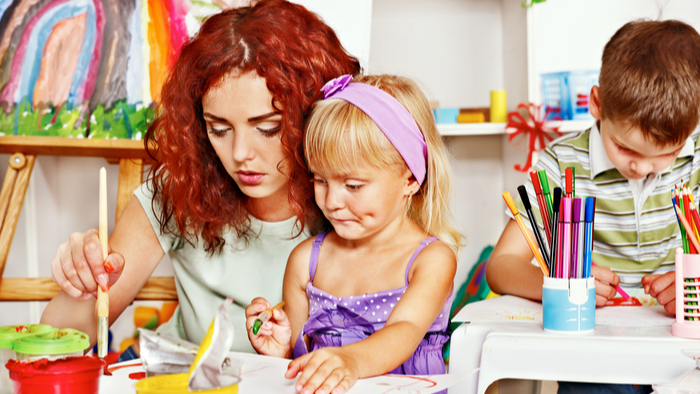 Read the full article about federal child care subsidies by Kelly Dwyer, Sarah Minton, and Victoria Tran at Urban Institute. This Roadmap defines the immediate actions required to propel a long-term shift. Specifically, it identifies eighteen actions (across six categories) that we, the impact investing community, need to take on to exponentially enhance the scale and effectiveness of impact investing, and to accelerate progress towards our vision. Strengthen the Identity of Impact Investing: Successful social movements have clear identities and shared senses of purpose. We need to strengthen the identity of impact investing by establishing clear principles and standards for practice, such as by more clearly articulating the defining characteristics of an impact investor, developing standardized best practices for impact measurement and management, and facilitating collaboration among investors with different goals and preferences. Change the Paradigm that Governs Investment Behavior and Expectations: We need to reshape the overarching paradigm governing the purpose and responsibilities of finance. Those who control capital must set incentives and design requirements to access their capital that align with positive impact. In addition, the theoretical models and frameworks that underpin investment practice must be updated to integrate impact alongside risk and return. Expand Impact Investment Products: The accessibility of impact investments must be increased by developing products suitable for the full spectrum of investors (from retail to institutional) and to accommodate the capital needs of various types of investees (including innovative early-stage businesses operating in frontier markets). This will help translate the current, latent demand for impact investments into a higher volume of activity. Develop Tools and Services: We need tools and services to support the integration of impact into investors’ routine analysis, allocation, and deal-making activities. The essential services provided by investment banks, ratings agencies, and data providers must be expanded to incorporate impact considerations and accommodate the needs of the full spectrum of impact investors. Bolster Education and Training: Education and training of professionals in finance and business is necessary to increase awareness of impact investing, maintain the integrity of practice, and drive talented human capital into the industry. Enhance Policy and Regulation: Policy and regulation can catalyze industry growth by establishing incentives for impact investments and creating a supportive regulatory environment for investors and businesses generating impact.